A little fear can be productive — but these are keeping you from achieving your goals. Isn’t it interesting how everyone wants success, but when an opportunity arises, many of us come up with excuses? It isn’t that we don’t want to succeed. It’s just that we let ourselves get in the way of our own progression. Reality is more difficult than simply dreaming about achieving something. Obstacles come up. Life throws curveballs into carefully developed plans. As a result, we tell ourselves that we just don’t have what it takes. Because, before you get good at anything, you need to fail. Fail often. If you aren’t failing enough, you aren’t pushing yourself enough. When you try something and it doesn’t work, don’t tell yourself that you failed. Instead, see it as a learning lesson. Reflect on what happened, why it happened, and what you can do differently. Over time, you get better at identifying your mistakes and have a better idea of what to do in the future. We hear about the fear of failing all the time. But what about fear of success? It’s just as real as the fear of failure. You might worry about what will happen down the road. You wonder how you’ll manage certain situations, deal with various people, or have enough time for yourself. This happened to me when I first started writing. While I was excited, I was also worried about how I would deal with different scenarios. I worried about being overwhelmed and what I would do if this or that imaginable event occurred. I was planning for all these things that didn’t even happen yet, or were far off in the future. It was unrealistic of me to do so, but I couldn’t help it. Eventually, I found a way to manage my fears. Here’s what I did: I acknowledged that the issues I thought about could happen in the future. For now, though, I didn’t have to worry about them. I put them aside and told myself I would deal with them when the time came. So if you’re just starting something, don’t think about what you need to do at step 10. Just decide how to get past step 1, and know that you’ll find a way to deal with the later steps if and when they happen. 3. Fear of letting go. I recently saw a show in which a man runs a restaurant previously owned by his parents, who have long since passed away. The restaurant hasn’t been doing well lately, but he insists on doing everything the same way in order to preserve his memories of his parents. Just because something was good for you in the past doesn’t mean that it’s best for you now. Our fear of wasting time is a big factor in whether or not we decide to pursue something. After all, time spent pursuing one thing means less time on something else. There are opportunity costs involved. It means we need to decide what’s the best way to spend our time. But if something truly is important to you, you should instead figure out how to go about doing it. Ask yourself: What if I don’t do this? Will I regret it one day? Even if you pursue something important and it doesn’t pan out, it’s not a waste of time. In the process, you learn more about yourself, gain valuable skills, and cross off that “what if?” on your list. 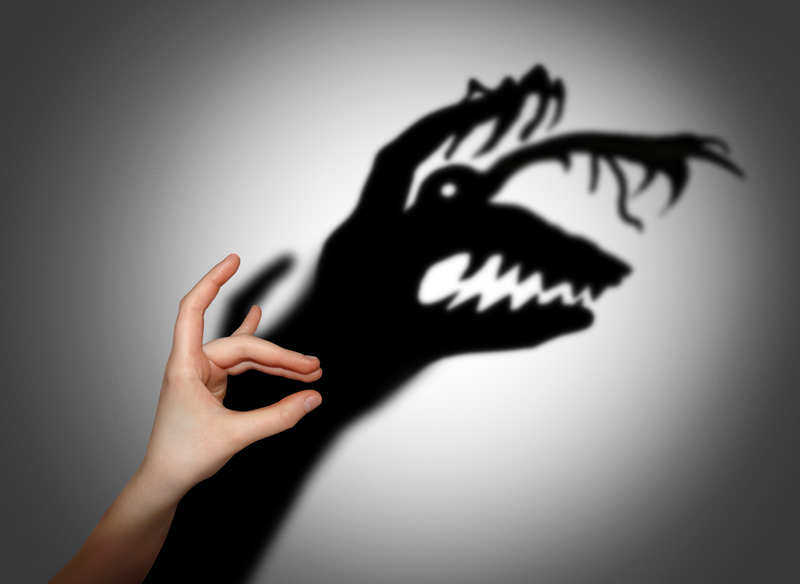 Most of our fears come from our brains playing tricks on us. Your brain wants you to stay safe, so it encourages you to stay in the same place, sabotaging your growth. If there’s something you want to pursue, take it one step at a time. You won’t figure out everything from day one, and you shouldn’t, either.